With this work, I have started focusing on the labor and renovation happening around me. 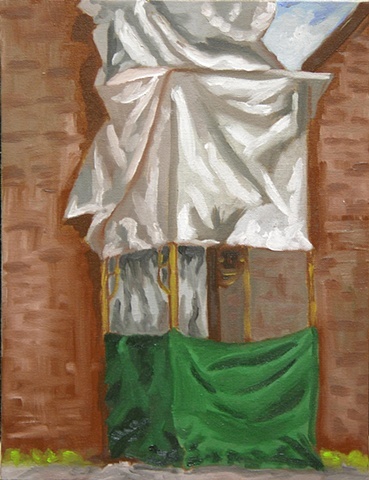 This painting shows a static state of a building in transition. Many of my previous paintings show buildings in decay and dis-repair but with this work the building is both taken apart and being put together. While the process is interesting, it is the static structures with their exposed components which I find to be interesting.